Hello! I never used to use primer when doing my makeup, but once on a shopping trip a year ago or so, I decided to pick one up and test it out. Since then I have been hooked! I have never put on any makeup without using a primer since then. I have tested out a fair few primers and have came up with a list of my 5 favourite, all from the drug store! If you aren't too sure what a primer is or how you'd use one, basically it's a product that you use right after any skin care items, and before putting on any makeup. Its primes the skin. 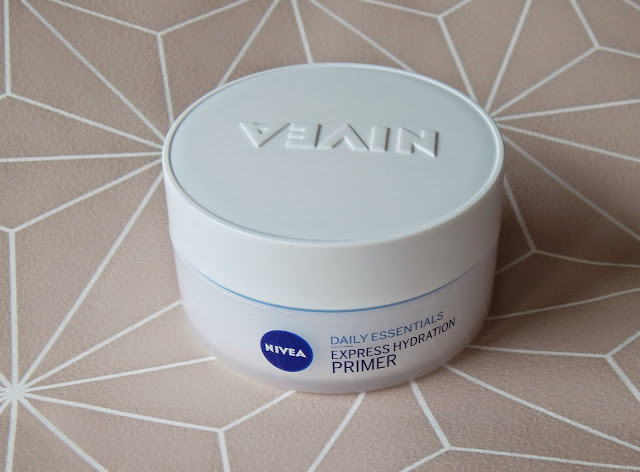 Primers come in all different types; some moisturise, some will help to keep the face matte and some help your skin stay clear as they provide a barrier between your pores and the makeup; and usually all of them will try to help your makeup last longer. I'll start by telling you the one I like best but is very hard to find. 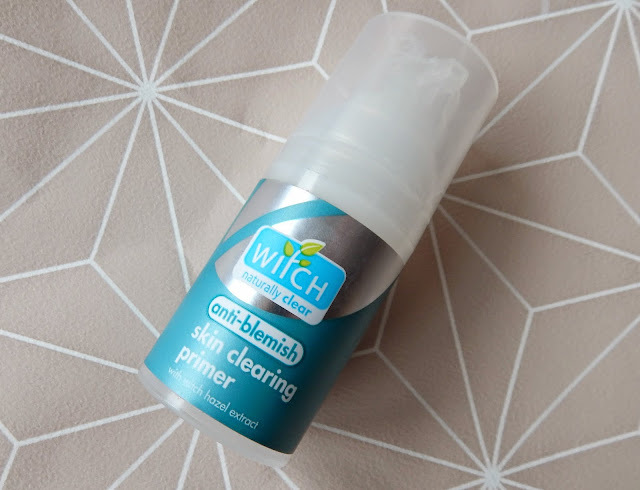 Its the Witch Skin Clearing Primer. I have reviewed this product before, which you can read here. I am unsure as to whether this primer is still being sold or if its still being made, as you can sometimes find it in stores and sometimes its like it never existed! Also, every time it does come back into shops, its a different price. I have bought it for £6.99 one month and the next time I went to purchase it, its been 80p. I've just ran out and I have my fingers crossed that it'll come back soon! This primer certainly does everything it claims! It provides an invisible barrier on the face when used, which is very mustering without leaving my skin shiny. It also stops breakouts of spots almost completely! Its like a miracle product. Read a full review of this product further back in my blog, or click the link above. My next favourite is Philosophy's the present. I am unsure as to if this actually counts as 'drug store / highstreet product' as I see it as a more luxury brand (that might just be me though) however, I bought this is Boots, which is definitely a high street store! This product claims to even out fine lines, wrinkles and pores leaving the skin smooth and makeup looking flawless. Before buying this, I did a lot of research on it as its a bit more expensive as I'd usually buy, at £22, however I was extremely impressed at what everyone had been writing about it so the next day, I went out and bought it! This primer definitely helps my makeup last longer! I used it at about 9 in the morning and my makeup was still almost perfect looking at 9pm! I am unsure about if it does even out fine lines and wrinkles as I wouldn't say I have too many of those, but it does keep my skin from looking dry and my makeup does look great while using it. Once its on, you do have to wait 2-3 minutes for it to sink into the skin and for it to become less sticky, before using makeup but its worth it. Its also infused with lavender oil which is known to have antibacterial and antiseptic properties which is supposed to help with the skins condition, however the smell is quite strong so if you don't like lavender or are allergic to it, I'd stay clear. This is my favourite for when my skin is looking extra dry! I'd say its on parr with the Philosophy primer in my opinion, but for different reasons. I have dry patches over my cheeks and on my nose sometimes which can show up when I'm wearing foundation, but this product stops that completely! It absorbs almost immediately into the skin and it helps my makeup to glide on really easily. My makeup looks great when I use it and even though it is mainly for moisturising, it doesn't leave my face looking oily or wet and it does help makeup stay on for longer. I also really like how cheap it is! If you like Nivea products then I definitely recommend this primer. This is my favourite to use when I'm going on a night out or to a party etc. I don't really like using it throughout the day though. 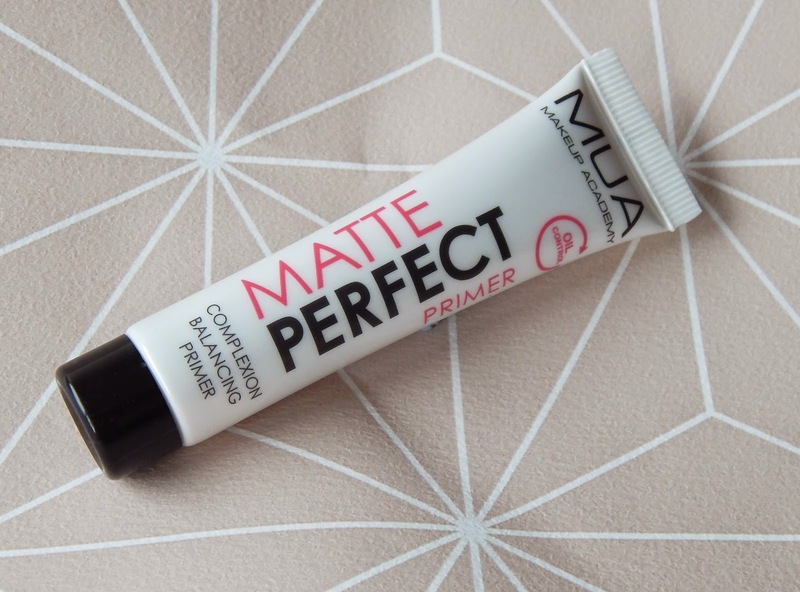 The MUA Matte Perfect primer is used mainly to control and reduce shine, therefore keeping your face matte. When using this, I tend to only use it where I get oily as it can make my makeup look heavier than it actually is, but not in a cake way. I use quite sheer foundations, but when you use this product, it becomes full coverage. Maybe this is because this primer has a tint to it so it does provide a bit of extra coverage than maybe I'm used to. However, I do like this product as it definitely keep your face matte, which is what it claims to do. It doesn't make my dry patches more prominent which sometimes matte products do too. Its also the cheapest primer I've found so is good if you're on a budget! Hope this post helps you in some way! Each of these primers are amazing in different ways and I hope you find one which works great for you! 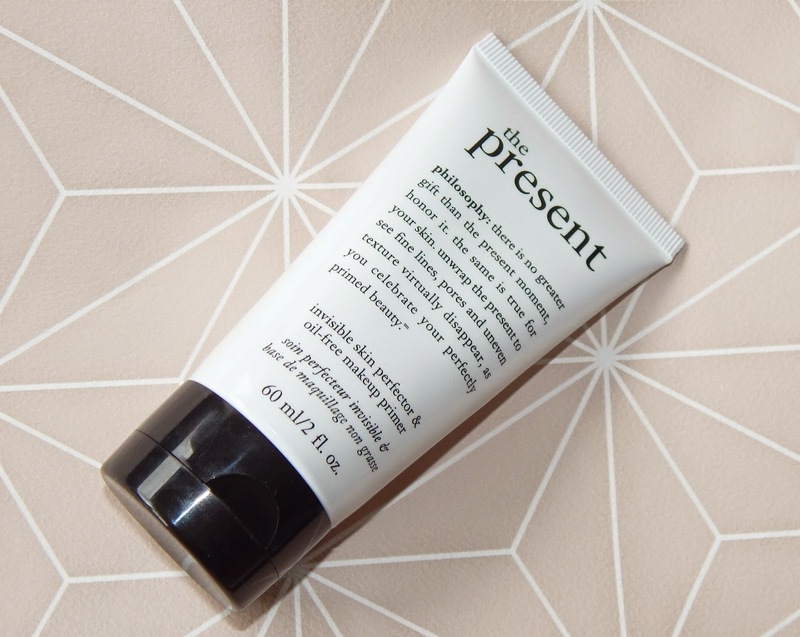 Once you start to use a primer, you'll never go back to wearing makeup without it - its addictive!